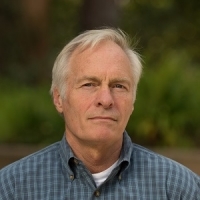 Dennis P. Lettenmaier (Ph.D., University of Washington, 1975) is a Distinguished Professor with interests in hydrologic modeling and prediction, hydrology-climate interactions, and hydrologic change. He is an author or co-author of over 300 journal articles. He was the first Chief Editor of the American Meteorological Society Journal of Hydrometeorology, and is a past President of the Hydrology Section of the American Geophysical Union. He is a Fellow of the American Geophysical Union, the American Meteorological Society, and the American Association for the Advancement of Science, and is a member of the National Academy of Engineering.